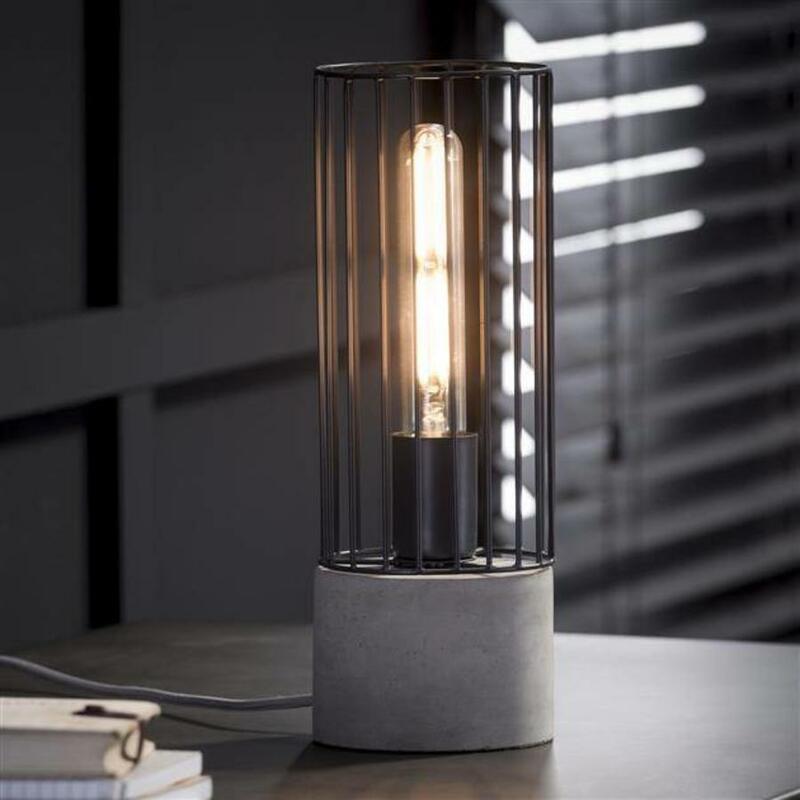 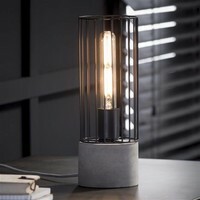 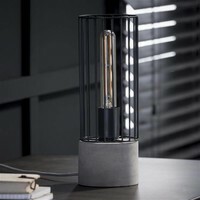 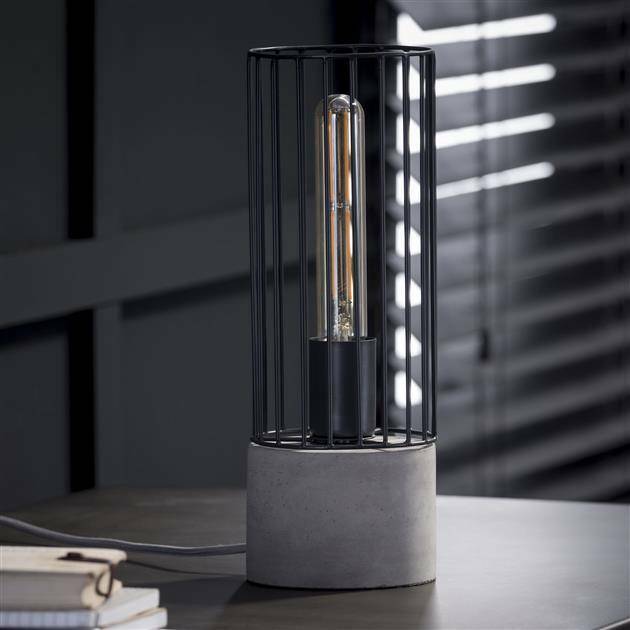 This Bent table lamp has a cylindrical hood, made of concrete and black wire steel. The cord with lamp button has gray textile. For an atmospheric effect, we recommend a rustic LED lamp.